A few friends and myself had a hankering for some Thai food. Not being from the area, they unanimously chose Ben Thanh. This is one beautiful restaurant. Everything in there looked new and was nicely designed. Reminded me a bit of Ikea, actually. 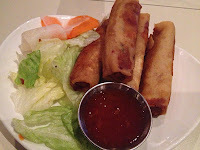 Since I haven’t been to many Thai restaurants, I decided to order the Spring Rolls to start. I was served 4 piping hot rolls. I don’t really get why they piled salad on the plate beside it; it looked sloppy. After I stopped reverse breathing, I discovered they were excellent spring rolls. Full of carrot and rice noodles, they didn’t last long inspite of their temperature. 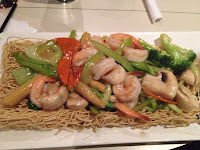 The service was efficient, food was great and plentiful, prices were unbeatable. I'm not a fan of fusion, but this place could convert me! Hungry and craving Thai? 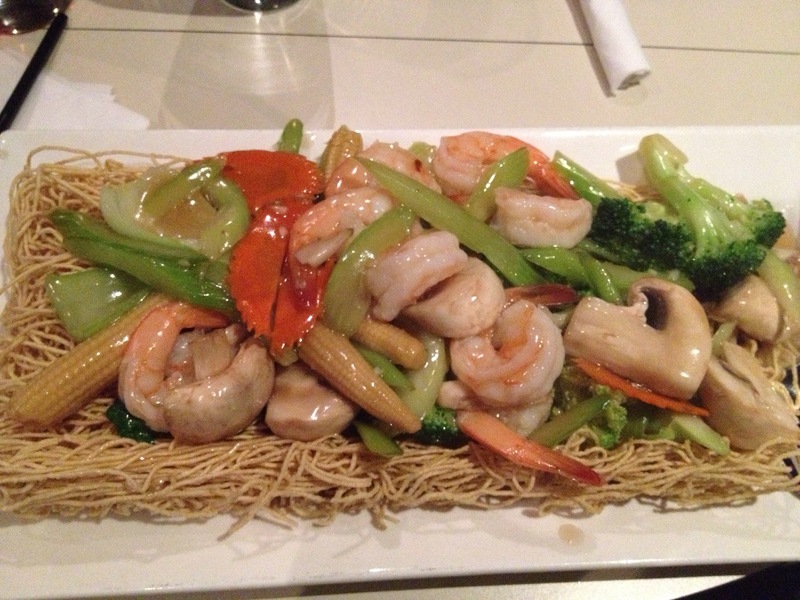 Put on your stretchy pants and head on over to Ben Thanh.